The $40 K-Beauty Primer That Gives Me "Glass Skin"
BB creams, lip tints, ceramide balms, bottled essences, sheet masks: The contents of my medicine cabinet say all I need to know about how heavily influenced I am by K-beauty trends. But of all the things I've loved that have originated in South Korea, nothing hit me quite as hard as "glass skin." When the concept of a bouncy, youthful, reflective glow hit the States, I knew my skin-care routine would never be the same. Unfortunately, my "glass skin" didn't come as easily as I'd hoped. After running several personal, highly unscientific trials of layering serums, lotions, and oils, my skin was as dull and my pores as clogged as they'd ever been. Neither my makeup, my skin-care routine, or chugging nearly two liters of water a day gave me the poreless sheen I'd been searching for. 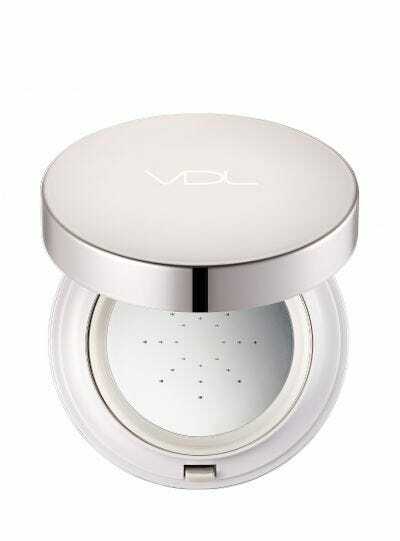 Then, I met VDL Cosmetics' Metal Cushion Primer. Housed inside a travel-friendly cushion compact, the primer fuses light-reflecting pearls with a combination of skin-conditioning ingredients, like niacinamide and adenosine, to create a 3D glow. To dispense the primer, which looks a lot like unicorn blood, all you have to do is gently press down on the metal plate, and the opalescent formula appears. Rather than use the included cushion, I prefer to dip a brush directly into the product before swirling it all over my face. The result is a highlighted glow that creates that lit-from-within effect I've heard so much about, but rarely see. Makeup artist Nam Vo calls it "the ultra-violet underglow." The underglow is so strong that, even after I've put on my foundation and concealer, the subtle shine still shows through in the best way. When that's not enough, I'll tap a little more on top of the rest of my makeup to use it like a buildable highlighter. Not only does it help my foundation last all day without fading, but that glow still holds strong (and, more importantly, still looks good) during my 4 p.m. slump, often spent in the fluorescent-lit office bathroom where I realize just how much sleep I didn't get the night before. Needless to say, I found my fix for "glass skin" — or at least one way to fake it until I finally perfect my skin-care routine.